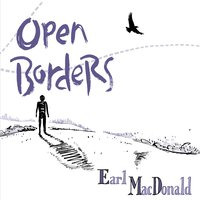 Open Borders brings to the fore Canadian-born pianist Earl MacDonald's burnished tentet in a program that consists of eleven sunlit and swinging themes, five of which were composed by the leader. Besides writing, MacDonald did most of the arranging, and he excels in both arenas, as he does on piano (most notably on the standards "Blame It On My Youth" and "East of the Sun" as well as on Percy Mayfield's R&B classic "Hit the Road Jack" and his own forward-leaning "Dolphy Dance"). In keeping with the "open borders" motif, MacDonald writes that "the band's ages range from twenty to sixty-two; some of us are straight, and some are gay; three women were involved; two members identify as being black; one musician is a Latino, while one more is the Jewish grandson of a Holocaust survivor . . . At the helm is a displaced Canadian, trying to find his way and make sense of things." Several members of the group make their homes in the New York City area while the others are from the New England states. 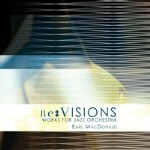 MacDonald shapes them into a snug and single-minded ensemble determined to "make sense of things." 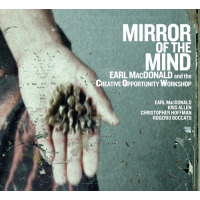 The album's well-grooved opener, "Dig in Buddy," composed by Canadian Tyler Hornby, is followed by MacDonald's far-from-seedy "Sordid Sort of Fellow" (spotless solos courtesy of MacDonald, trumpeter Josh Evans and trombonist Sara Jacovino) and deliberative "Mirror of the Mind." Jackie McLean's colorful "Appointment in Ghana" showcases baritone Lauren Sevian and alto Kris Allen, MacDonald's perceptive "Miles Apart" (ending in a mystifying fade-out) his keyboard alongside trumpeter Jeff Holmes. 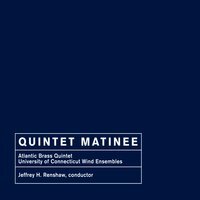 Tenor Wayne Escoffery weighs in with Sevian and Evans on Canadian Jerrold Dubyk's appetizing "Catch of the Day," while percussionist Ricardo Monzon helps stoke the rhythmic fire on "Dolphy Dance" and vocalist Atla DeChamplain is heard on the well-known finale, "East of the Sun." A blue-chip partnership whose dexterous soloists amplify MacDonald's invariably sharp and engaging charts. Nothing groundbreaking here, simply well-drawn and listenable contemporary jazz of the first order.